23 girls took part in their BP adventure in Market Drayton. This weekend, 23 guides from Shropshire headed to Market Drayton for their BP Adventure weekend. Girls from across the county were able to meet with others who had been completing their BP awards too, and share stories, before taking part in a challenge to find out more about Market Drayton – historical home of gingerbread! The girls also visited the local food bank to find out more about what they do, as well as donating some products, before returning to the hut to cook their dinner and an evening of activities. On Sunday, the girls were offered a range of activities to choose from, including swimming at the local pool, before their awards ceremony in the afternoon. 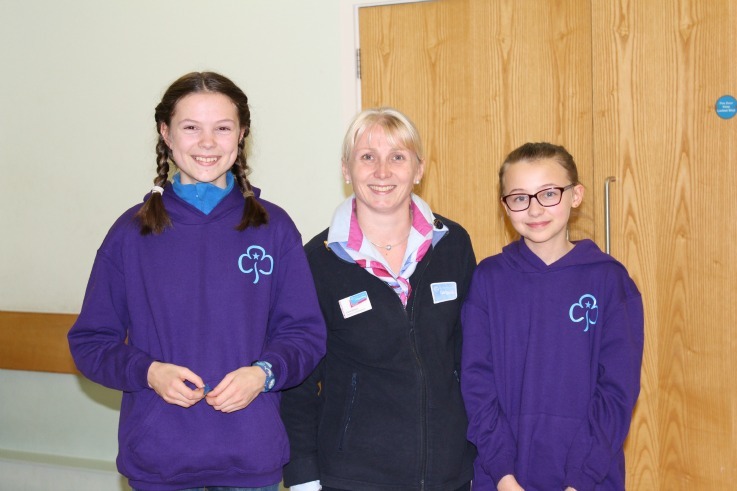 Families and guide leaders gathered at the Festival Drayton centre for the County Commissioner to aware the girls with their BP Adventure and Challenge awards. If you are working towards your BP challenge, please let the organisers of the BP Adventures know. Once you have completed 8 sections of your award, you can book into the next adventure weekend using the near completion form found here.